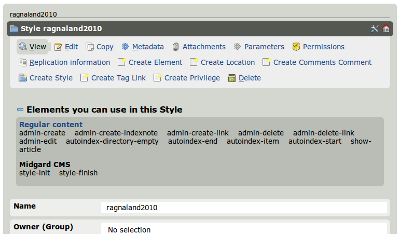 Main work with this new version was to port the forum to utilize datamanager, MidCOM's data abstraction layer. This enables usage of the communityhtml data type for bbCode support, and makes it possible for the site administrators to add new data fields for comments and threads using a simple configuration format. The complete output of the component can be modified using MidCOM's templating model. The default output templates now provide many hooks for styling via CSS. This new and more usable version of the net.nemein.discussion component is available in MidCOM CVS. However, many more improvements are being worked on. Most of this work will be financed by two of our clients, an ISP and a radio station. I will implement tier 1 and some tier 2 features soon myself, and the rest will wait until Torben gets enough time from his work on Midgard's new integrated search engine. 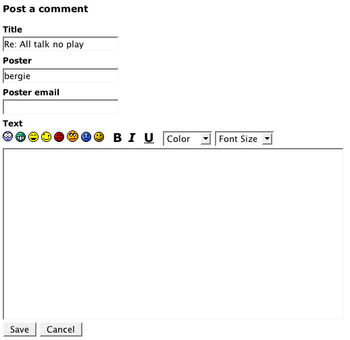 Now the discussion forum is only 1843 lines of code including layout templates. The reason why it was rewritten only now is that I was unnecessarily intimidated by datamanager's creation mode. However, after a bit of thought it proved to be a surprisingly simple API to work with. This blog post has been written in Pullman Bar powered by Velkopopovický Kozel and Cohiba Siglo III. Next on the agenda is the radio technology lecture of the PPL(A) course.